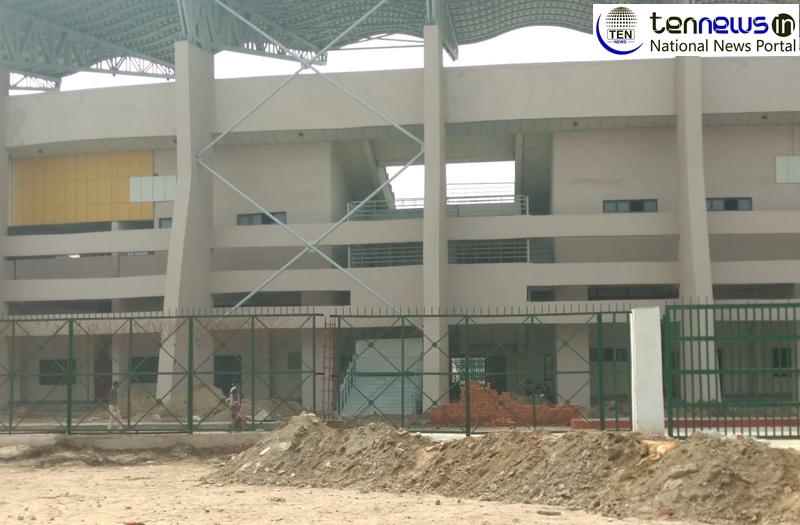 NOIDA, (11/2/2019): Noida Stadium is going to have a complete range of sports facilities and It is being transformed into a sports training academy with shooting range, skating rink, basketball and lawn tennis courts. The Noida Authority took responsibility to develop the facilities at the stadium. Officials of Noida Authority said that “the aim is to develop the stadium into a premier multi-sport academy and provide effective training to the youngsters. Rajeev Tyagi, General Manager, Noida Authority said, that “the shooting range would have facilities that would enable shooting from both a rifle and pistol. The project cost is 10.6 crores and 95% work has been completed and it will get inaugurated in the month of March this year. Students and budding professionals will get training and guidance to compete in various tournaments and competitions across the country and abroad. Apart from the sport centres, a multi purpose indoor stadium is also being constructed for 102 crores and is likely to be ready by September. The stadium currently has 12 sporting facilities, such as centres for Karate, lawn tennis, aerobics, a skating rink, basketball and badminton courts, football ground, golf range, archery course and a gym.